Our multidisciplinary team gathers professionals from different academic backgrounds, profiles and nationalities. He holds a PhD in Education (University of Barcelona) and Master’s Degree in Educational Technology (San Francisco State University, USA). He holds degrees in Engineering and in Philosophy, and previously taught Mathematics in secondary education. He teaches educational technologies at both graduate and post-graduate levels (Faculty of Education). He participates in different Research Committees, Journals and Conferences at an international level. He coordinates Future Learning. 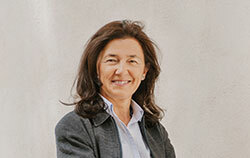 She is a psychologist and holds a PhD in education (University of Barcelona). Her work mainly relates to technology-enhanced learning, with a focus on game-based learning and creativity. She has teaching experience at different educational levels, i.e. primary school, university, professional and adult training. In addition, she has been working in educational research for more than 10 years, collaborating in several EU projects (FP6, LLP). She is now involved in the ACCORD project (Erasmus +). 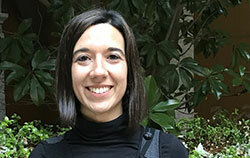 She has been working in educational research for more than five years, mainly in the framework of EU projects. She designs, implements and assesses professional development programmes for in-service teachers mediated by ICT. She is a PhD candidate in the programme “Education & Society”, where she investigates the potential of IBSE & RRI to support teaching scientific competencies. She is an associate lecturer at the Faculty of Education, where she teaches technology for learning. She has a PhD in Mathematics (Autonomous University of Barcelona) focusing on the design of innovative teaching proposals to integrate mathematical modelling at different educational levels. 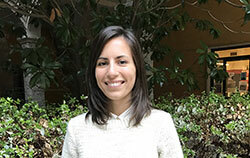 She works in the section of Didactics of Mathematics (University of Barcelona), where she teaches innovation in primary and secondary schools. She participated in several projects on the use of technologies to support Math Education researchers and teachers communities. She is involved in the MC2 project. He got a PhD in Mathematics in 2009 (Autonomous University of Barcelona) with a thesis focusing on complex analysis, and continued researching this field afterwards. He has been also teaching at secondary school and university levels. 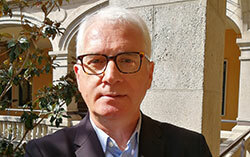 After a two-years post-doctoral position at the University of Crete (Greece), he now teaches at Tecnocampus (University of Mataró, Spain). 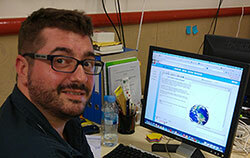 In Future Learning, he collaborates in the Mathematical Creativity Squared (MC2, FP7) project as research collaborator. 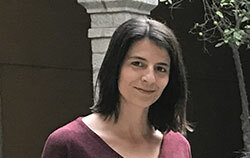 She started her professional career as a scientist: she got an engineering degree (Polytechnic University of Madrid) and a Master’s degree in Plant Science (University of California), where she worked as a researcher. Next she shifted her focus towards bilingual education: she got a Bilingual Emphasis Teaching Credential (California State University) and has over 20 years of experience in bilingual education. At present she works as a consultant, writer and translator of educational materials, and as teacher trainer for bilingual education programs. Science secondary school teacher (Institut Vilanova del Vallès). Associate lecturer (Dept. of Didactics of Science and Mathematics, University of Barcelona). Professor (Dept. 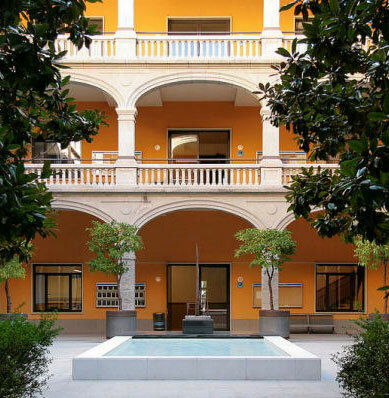 of Theory and History of Education, University of Barcelona). (Dept. of Didactics, University of Barcelona). Associated Professor (Dept. of Didactics of Science and Maths, University of Barcelona). Professor (Dept. of Didactics of Science and Mathematics, University of Barcelona).